Lexus RX 450h Drive To Geneva: What (MPG)'ll She Do, Mister? 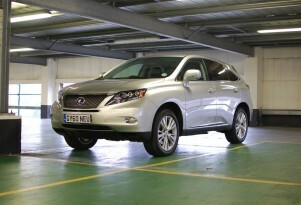 2012 Lexus RX 450h To Geneva: What Would You Like To Know? Lexus GS To Get Second, Lower Power Hybrid Model For Europe? 2012 Lexus CT 200h Hybrid Hatch: Now Louder, With More Noise! Lexus CX 300h Hybrid: Luxury Brand To Launch RX Baby Brother?